Isn’t it beautiful? The trinity are together in the official images and interviews released from Entertainment Weekly, and from the images and interviews we actually found out a bit about what’s going to go down in Batman v Superman. 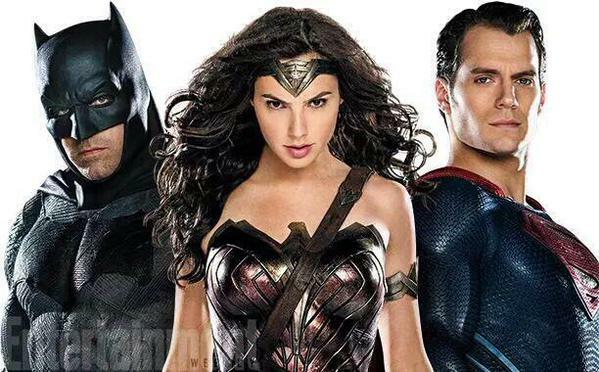 First of all you have to love that front and centre in the trinity image is Wonder Woman. It’s clear that WB and the DCEU (DC extended universe which is apparently what they’re calling it now) are serious about Wonder Woman. Which they should be, because she is such an iconic character that deserves to be more than “that token chick” in a superhero movie. Although her role won’t be as big in Batman v Superman, it’s clear the movie will set her up well for the Wonder Woman movie. As Wonder Woman typically plays a diplomatic role, I have a feeling she will be the one to help stop Batman and Superman from being foes to being friends, and building the Justice League off the trinity’s relationship. Female lead superhero movies aren’t exactly common right now, so it’s a big deal for them to get this right. From the image I’m thinking she’ll be able to handle her own in the movie. Word from the production is that Gadot really steals the scenes she’s in so fingers crossed her character is written well, and her performance does the character justice (ayyy). 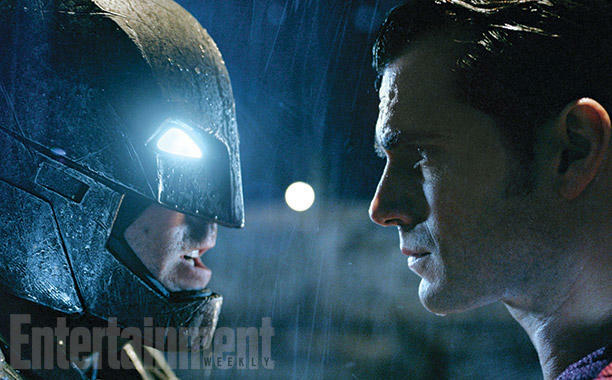 From this image it look like they’re gonna fight….Well that we already knew, but in this picture, Batman looks super aggressive, whereas Superman seems pretty calm. From the EW interview it was revealed that this Batsuit does indeed have Kryptonite in it, so Kryptonite confirmed! I’m hoping they use Kryptonite wisely in the movie, because sometimes using it is just too easy of an out. But then again how else will Batman stand a chance against Superman? The interview also discusses a scene between Alfred and Bruce in which they talk about the “realpolitik reasoning that weighs the morality of a preemptive strike on Superman against even the minimal chance of humanity’s destruction”. So it seems that Batman is pretty set on attacking Superman without really considering the domino effect his actions may have. 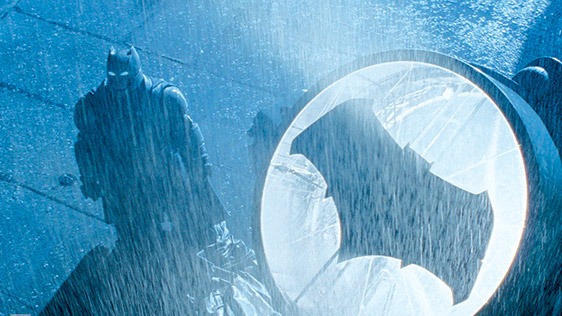 It appears that we really are getting an older, worn out and way less tolerant Batman in this movie. This is a shot similar to what we saw in the teaser trailer. Gotta love that classic Superman look he’s got going on here. 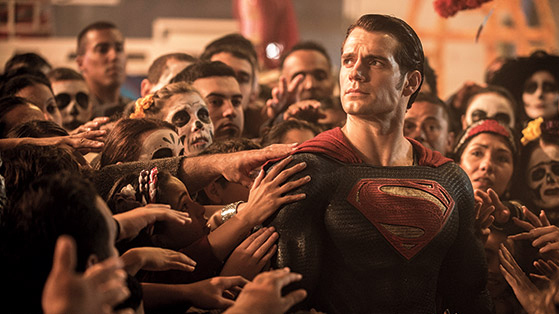 Obviously a big part of Batman v Superman is what impact Superman’s presence has on the world. Cavill goes on to say that whereas Man of Steel was Superman’s perspective on the world, Batman v Superman is the world’s perspective on Superman. These guys look like they’re on the worshipping, not hating side. It will be interesting to see how Superman responds to people viewing him as a god. Normally, Superman hates the idea of people looking to him as a god. He’s not there to have any control over humanity, he just wants to be there when they need help. At the end of the day he’s just some guy who grew up on a farm, one day found out he was an alien, and suddenly had to deal with everyone’s grand expectations and perspectives of him. He has hair???? Apparently some people have short-term memory problems because they’re freaking out that he has hair, even though we already saw bald Luthor. Apparently we’ll see him lose his hair in the movie, so we could get a flashback type scenario or it will happen within the current events of the movie. Hopefully they don’t go old school and have Lex Luthor get mad at Superman because he blew his hair off… But just judging from this picture, we’re seeing Lex Luthor not in formal wear, but casual wear. 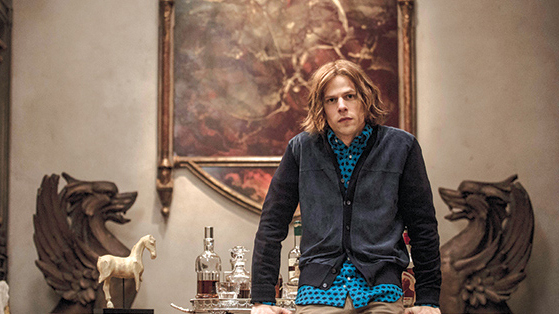 We’ll definitely be getting a different take on Lex here. You know the whole young, hip billionaire with maybe too much ambition for his own good. You know that Nietzche quote , “Beware that, when fighting monsters, you yourself do not become a monster…for when you gaze long into the abyss, the abyss gazes also into you” is one that you can really apply to Bats. Normally you have a Batman who’s gazing into that abyss and struggles to find the balance so that he does not become the monster that he hunts. It sounds like here we’ve got a Batman who’s gazed into that abyss for way too long, and has taken a step back from being Batman because of what he’s become. My guess, he’ll fight Supes but then is inspired by his idealism, and gets back to being the Batman he was in his prime. Well well well, what do we have here? From Affleck’s description, it sounds like Diana and Bruce know each other’s secret identities, but don’t exactly explicitly state to each other that they know that. After this picture was released everyone bought up the Justice League Animated Series, because in that, Bruce and Diana have a bit of a flirty relationship. Now I’m not expecting there to be any actual romance between Batman and Wonder Woman in the movies, but I’m guessing we’ll be getting something similar to the relationship we saw in the animated series. Oh and if you look at the background of this image, it looks like it could be Lex Luthor and his assistant Mercy Graves in the background. 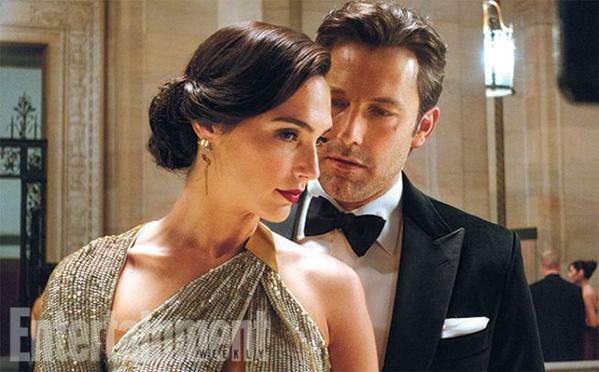 Looks like this picture is taken at Lex Luthor’s Ball, and I’m sure the two of them in the background are up to something. Typically Mercy Graves helps out Lex with his villainous plans, so perhaps Diana and Bruce are both there investigating what they’re up to. Anyways it’s good to have some more official Batman v Superman stuff coming out (even though the movie is still 9 months away boo), and we’ll be getting a lot more stuff about Batman v Superman and the DCEU next week at SDCC. After all this Wonder Woman focus, maybe we can expect some Wonder Woman footage!! 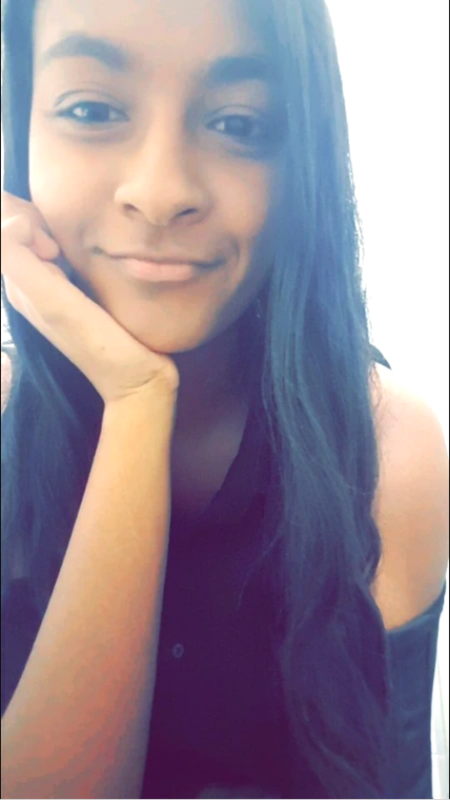 To be honest….they could take a little bit more time with stuff like that. It is hard to get excited for a movie which is month away if there are two other comic book movies which hit the theatres beforehand. They certainly need something to reveal at Comic Con, though, something big. But otherwise, it is a little bit too early. Fingers crossed for new footage next week at SDCC! Please let them have Luthor be mad at Superman for blowing his hair off. Pleeeeeaaaaassssseee. The more and more I hear about this movie the more I start to like it.